Any time of the year, Sturgis Indoor Golf is the perfect place to enjoy the game of golf... whether you’re just practicing your chipping on your lunch hour or playing world class courses with your league. Try it today! 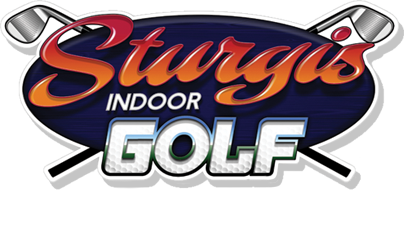 The latest addition of indoor recreation to the Sturgis area is Sturgis Indoor Golf. With four HD TRUGOLF simulators and a warm-up area and putting area, we can accommodate up to sixteen golfers at a time. The TRUGOLF simulators feature the latest technology in indoor golf tracking. It’s a close as it gets to playing real golf! You can play on over ninety courses throughout the world or just hit balls on the driving range and analyze your swing with our TRUTRACK2 software. We also offer winter leagues, lessons, and are capable of hosting special events, business meetings and tournaments. Snacks and beverages are available for purchase as well as retail items. Call today to reserve a tee time!